Denmark recognised the independence of Estonia in February 1921. A year later, in 1922, Flemming Leche, who resided in Helsinki, was appointed Ambassador of Denmark to Estonia. In 1918, Denmark had already appointed melioration specialist JC Johansen its Consul General in Tallinn. Johansen had lived in Estonia for many years and was familiar with the local conditions. After Johansen’s death in 1929, the Consulate General was promoted to an embassy with diplomatic staff. The temporary chargés d’affaires in Tallinn from 1929 to 1940 were Theodor Schultz, Rasmus Kamp and Johan Oluf. Several cultural figures represented Estonia in Denmark from 1918 to 1919, such as writer Eduard Vilde and theatre director Karl Menning. Later, Estonia was represented in Denmark via the Stockholm Embassy and a Consul General of Estonia was appointed to office in Copenhagen. This title belonged to Ernst Carlsen, a pioneer of the Danish advertising industry, from 1926 to 1938. An Estonian Embassy with diplomatic staff operated in Copenhagen as of 1930. Similar to Danish diplomats in Tallinn, the Estonian diplomat residing in Copenhagen had the title of chargé d’affaires e.p. From 1930 to 1940, this position was held by Otto Grant, Artur Haman (Tuldava) and August Koern (1900-1989). The latter was appointed to the office in 1939 and he kept the legal continuity of the Estonian state alive after Estonia was occupied by the Soviet Union 1940. The Danish authorities did not recognise Koern as the diplomatic representative of Estonia after 1940, but after the end of the German occupation in 1945, when Denmark took charge of its foreign policy again, it did not recognise the Soviet occupation in Estonia, similarly to most other Western countries. Due to this non-recognition policy, the official ties between Denmark and Estonia were minimal during the Soviet era. The Kingdom of Denmark was the second country after Iceland that restored diplomatic relations with the Republic of Estonia in August 1991 (24 August 1991) after the latter regained its independence. The first Ambassador Otto Borch was sent from Copenhagen to Estonia on 26 August 1991, a couple of days after the restoration of diplomatic relations. Borch was followed by Sven Erik Nordberg (1991-1994), who in his turn was replaced by Svend Roed Nielsen (1995-2000). He was followed by Jørgen Munk Rasmussen (2000-2005), Kirsten Rosenvold Geelan (2005-2009), Uffe A. Balslev (2009-2012) and Søren Kelstrup (2012-2017). Kristina Miskowiak Beckvard has been the Ambassador of Denmark to Estonia since 2017. The first foreign mission of Estonia after World War II was opened in Denmark in December 1990 and it was called the Baltic Information Centre in Copenhagen. 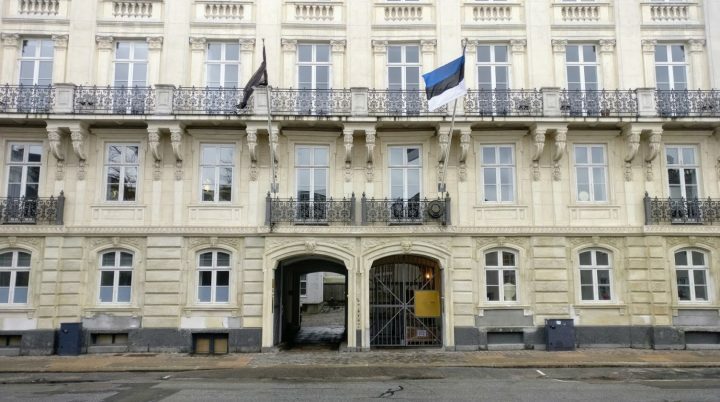 The first Ambassador of the Republic of Estonia to Denmark was Arvo Alas (1991-1996), followed by Jüri Kahn (1996-2001), Taavi Toom (2001-2006), Meelike Palli (2006-2011) and Katrin Kivi (2011-2015). Märt Volmer has been the Estonian Ambassador to Denmark since August 2015. The relations of Estonia and Denmark have been consistently very good. Denmark was the first Nordic country that signed a visa waiver agreement with Estonia in 1993. At the international level, Denmark repeatedly expressed its strong support of Estonia’s accession to the European Union and NATO for many years. This was also confirmed by the fact that Denmark was the first country that ratified the EU Accession Treaty of Estonia on 4 June 2003. 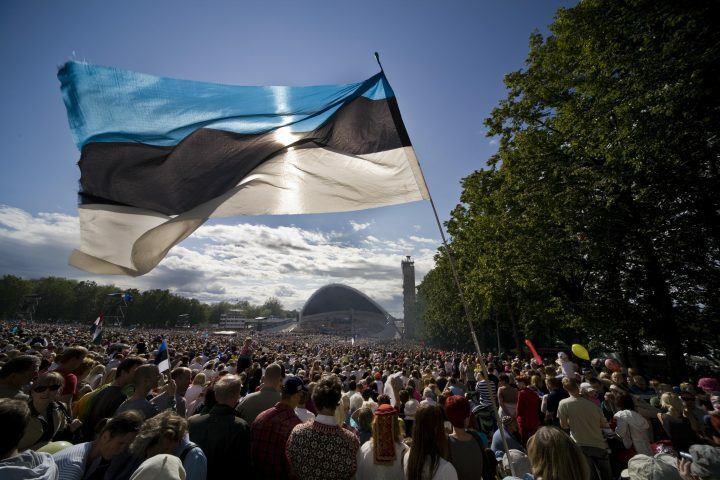 Denmark supported Estonia with 2.3 billion Estonian kroons (147 million euros) within the scope of bilateral aid from 1992 to 2003, before Estonia’s accession to the European Union. The majority of the aid consisted of environmental programmes (incl. power engineering, implementation of Baltic Agenda 21), support aimed at defence issues (support to preparation of NATO membership) and cooperation in the area of euro-integration (the FEU programme). The relations between the parliaments of the two countries are also good and there have been many high-level visits and work meetings over the years. There is an Estonian-Danish parliamentary group (chaired by Yoko Alender) in the 13th Riigikogu. The parliaments of the Nordic countries and Baltic States (NB8) also cooperate closely. 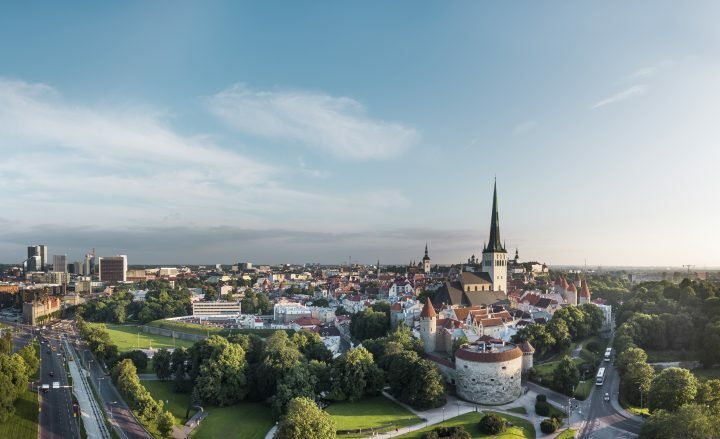 Several Estonian and Danish local governments have entered into bilateral cooperation agreements. 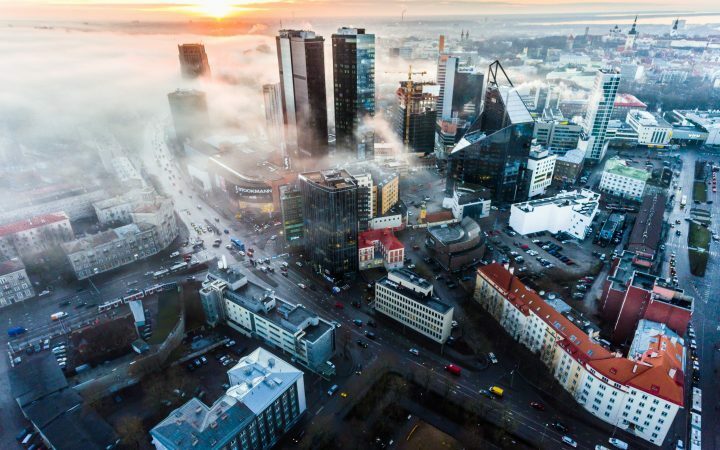 The Danish-Estonian Chamber of Commerce started operating in Tallinn in 2007. The defence cooperation between Estonia and Denmark has been at a good level for many years. Denmark was one of the main supporters of the development of the Estonian defence institutions in the 1990s. Denmark has coordinated several international projects for building the national defence of the Baltic States and assisted with the establishment and further activities of BALTBAT, BALTRON and BALTNET. The national defence cooperation agreement entered into with Denmark in March 1994 was the first transnational framework agreement of defence cooperation for Estonia. Several units of the Estonian Defence Forces have trained in Denmark. Estonia participated in the ISAF operation in Helmand Province, Afghanistan, with Denmark and the United Kingdom. The Danish Air Force was the first to carry out an air policing mission from Ämari Air Base from May to September 2014. In 2016 Estonia contributed with instructors to the Danish contingent in Anbar Province, Iraq. Members of the Estonian Defence Forces have trained soldiers of the Iraqi armed forces as part of the Danish unit. Denmark has also contributed to the work of the Baltic Defence College.